So my life has taken a fresh new turn and I've been meaning to write something exciting and jaw-dropping about it, but alas I find myself so BUSY that time seems to simply exist as an elusive word. I love being busy, because I'm doing what I love to do... making art. And promoting my art, selling my art, and dreaming of making new art. Doesn't that have a nice ring to it? Today I completely overhauled my Etsy Shop! Ahhh, finally. 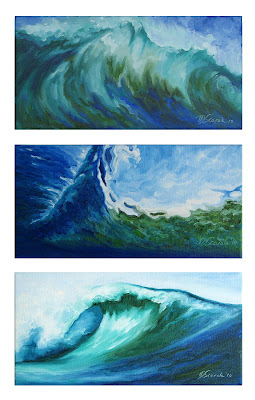 I'm happy to say, I have over 50 of my original oil paintings now available as reproductions on fine art paper for UNDER $20!! 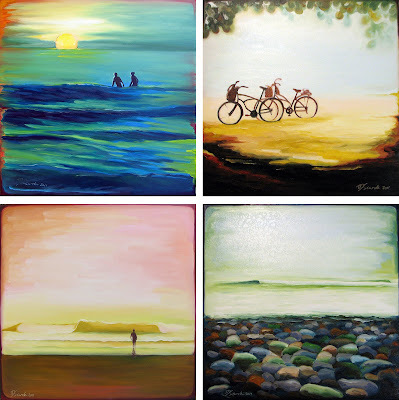 If you prefer the original painting look, but not the price, I have 14 fine art reproductions on stretched canvas for you to choose from. 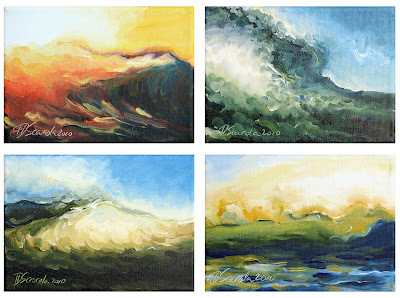 I have a few fun sets you can mix and match too, such as my Animal Farm, Splash series, Viewfinder series, Panorama Waves and Imprinted Wave series.